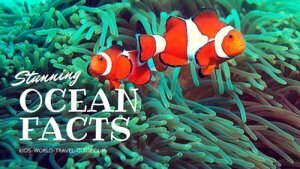 Here are some interesting Argentina Facts which were chosen and researched by kids especially for kids. History: Spanish explorer Juan Diaz visits the area now called Argentina and claims it for the Spanish crown. In 1535 Buenos Aires is founded by Pedro de Mendoza. Only in 1816, Argentina gained independence from Spain. Then in 1880 Buenos Aires became capital of Argentina. In the next fifty years from 1880 onwards Argentina was one of the richest nations. In 1982 Argentina went to war with Britain to try to get the Falkland Islands but this was unsuccessful for the Argentines. 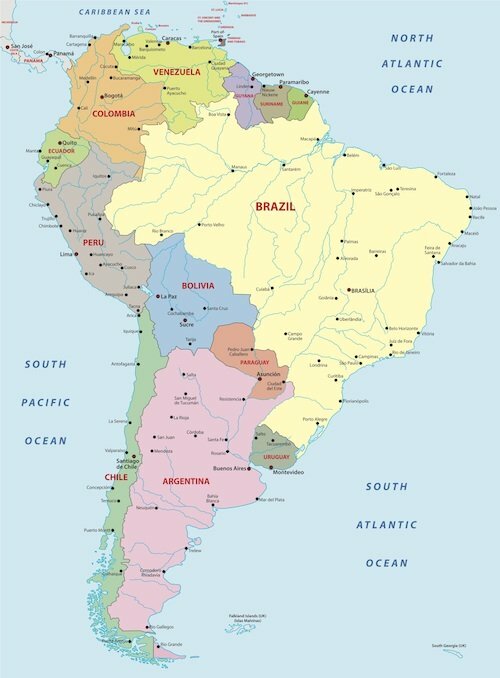 Argentina is on the South American continent bordered by Bolivia, Brazil, Chile, Paraguay and Uruguay. A flight to Buenos Aires from London takes about 14 hours, and takes about 11 hours from New York. 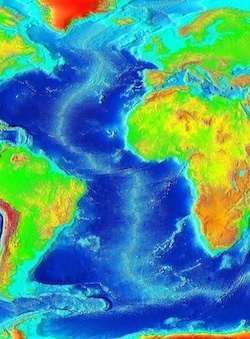 To the east of Argentina is the Atlantic Ocean and in the north east there is also the border to Uruguay. And to the west are the Andes which form a natural border with Chile. In the north, Argentina borders Bolivia, Paraguay and Brazil. In central and northern Argentina, the pampas which is fertile grazing land. 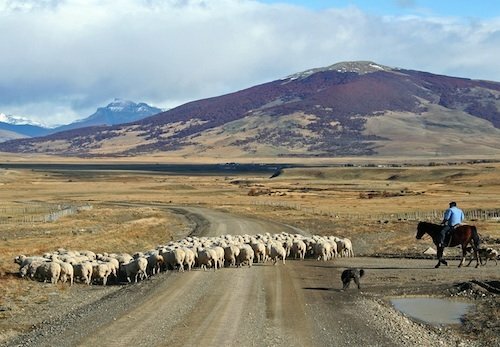 The pampas in Argentina are generally just flat fertile plains where cattle and sheep graze in large numbers. The word 'pampas' is a word from the Quechua Indians language and means ‘flat surface’. To the south is the Tierra del Fuego and Patagonia with a very cold climate. The Tierra del Fuego is a group of islands at the southern tip of Argentina. The Tierra del Fuego has high mountains but very cold weather as it is quite close to Antarctica. The Tierra del Fuego is split between Chile and Argentina. The biggest island of the Tierra del Fuego is Isla Grande which is also the biggest island in South America. Patagonia is north of the Tierra del Fuego and consists of dry pampas vegetation and also has high mountains and huge glaciers such as the world famous Perito Moreno Glacier. The Andes are a huge mountain range, the longest in the world, that also mark the natural border between Chile and Argentina. Aconcagua is a mountain with a height of about 6,960 meters/22,835 ft. Aconcagua is the highest mountain in South America and is part of the Argentine Andes. 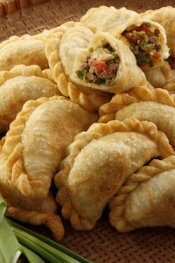 Buenos Aires: The capital city and most populous city with cafes, restaurants and the tango. 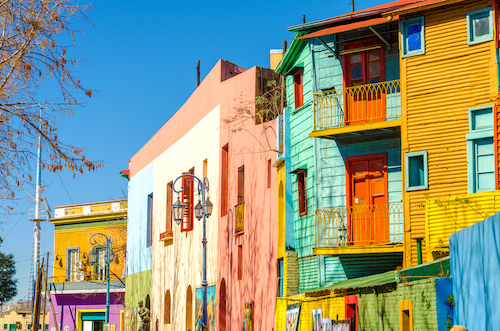 Places to see in Buenos Aires include the la Boca district with its colourful buildings, or the city centre. Córdoba: This is the second largest city in Argentina and it is also one of the oldest cities in Argentina. Mendoza Wine Region: This beautiful area with the Andes mountains in the background has the best wines in Argentina and is one of the biggest wine producing areas in the world. 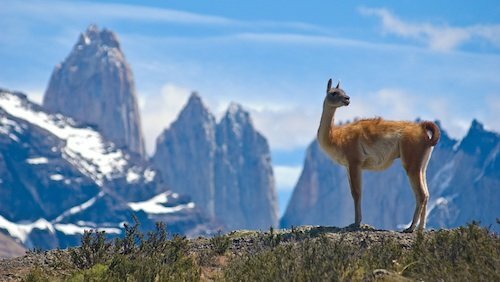 Argentine Andes Mountains: The place to go for outdoors if you want to ski, hike, climb. You will enjoy the many outdoor activity in the Argentine Andes. 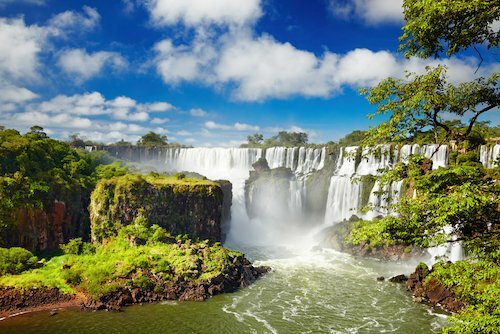 Iguazu Falls: Located on the border between Argentina and Brazil, these waterfalls are the biggest tourist attraction in Argentina. The falls are actually a series of 275 falls, which fall a distance of 75 meters. 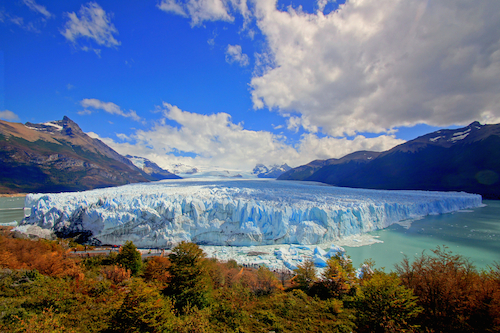 Perito Moreno Glacier: This world famous glacier is in Patagonia and stretches a distance of 30km and has an area of 250km². Tierra del Fuego and Patagonia: It is interesting to see the amazing unspoilt nature. And visit the southernmost large settlement, Ushuaia. Ibera Wetlands: The second biggest wetland in the world after the Pantanal in Brazil, this is a huge swampland lots of mammals and birds such as alligators and capybaras. Pampas: Flat grassy plains that cover most of central and northern Argentina. Most of the pampas is used to heard cattle and sheep which there are more than humans. 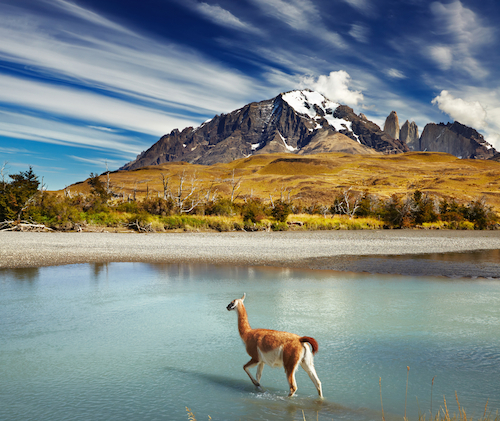 There are so many great places in Argentina to visit, just to many to mention here. 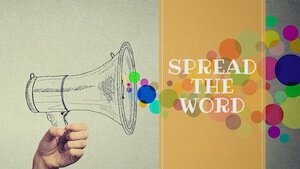 We will show you more places on a special page here soon. 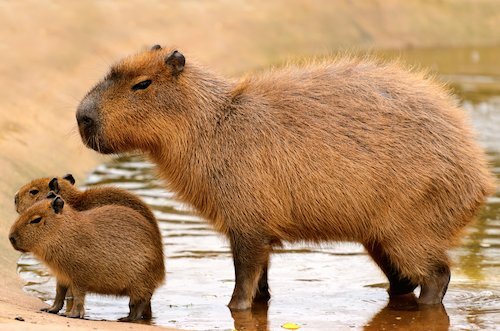 There are other animals such as armadillos, capybaras (see them in the image below) and king penguins. In Argentina there are also native snakes such as the tropical rattle snake or the crossed pit viper, both of them are very poisonous. 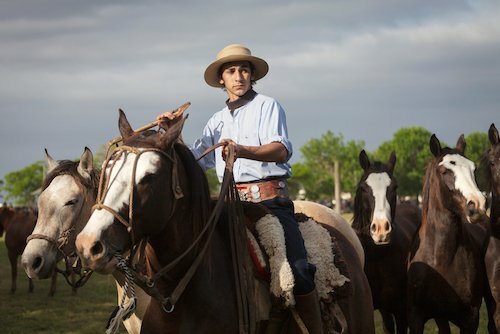 There are huge numbers of sheep and cattle in the pampas regions and also horses are common. Herders on horseback called 'gauchos' look after the large herds. In Argentina, kids go to either free public schools or attend private schools which can be really expensive. In private schools pupils wear a uniform, often complete with tie and blazer, whereas at public schools the pupils all have to wear a white lab coat over their dress so they look alike. 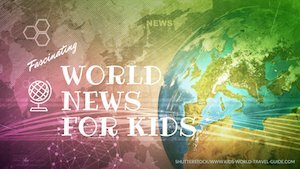 Children either attend school during the morning shift from 8am-1pm, afternoon from 1pm-6pm or some might even be required to sit in school during a night shift. The sports that are the most popular in Argentina are soccer (fútbol), basketball, rugby and tennis. The national sport, however, is called 'pato' and is similar to polo. Pato is played on horseback with the rider holding a net in the hand. However, few play the national sport as it is an expensive sport. Soccer is the most popular sports activity and Argentina has won the world cup two times. There are famous soccer stars such as Maradona, Messi and others. Famous Argentines include former national soccer player Diego Maradona, who scored the world famous goal ("hand of god') against England in the 1986 world cup. Another famous soccer player is Leonel Messi who is celebrated currently by many as the best soccer player. José de San Martín is an idol for many Argentines. He is the national hero who helped to free the southern parts of South America from the Spanish in the struggle for independence. A famous Argentine invention is the tango dance, which originated in Buenos Aires at the end of the 19th century. It is interesting to know that today there are different types of tango styles, and some of the biggest dance schools were developed by dancers who come from Italian immigrant families in Argentina. Tango dancers usually tell sad stories with their dance moves. 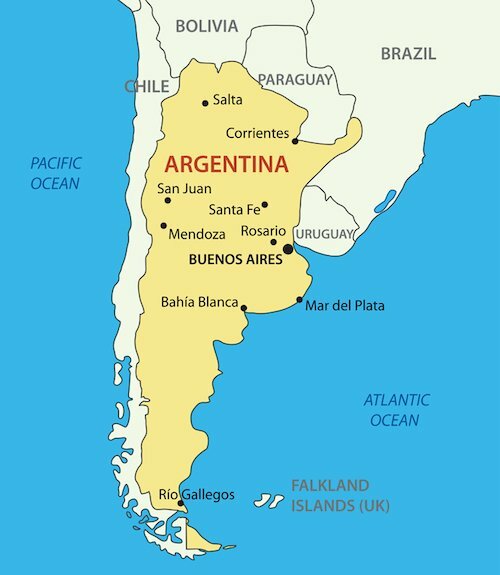 The official language used in Argentina is Spanish, however, other languages such as Italian, English, German, French and various indigenous languages are also spoken by most Argentines. Indigenous languages which are spoken by many Argentines are Mapuche, Guarani and Quechua. 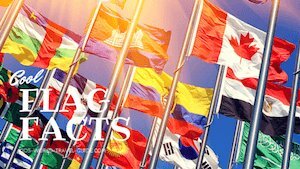 Spanish is used as the official language as the Spanish brought with them the language as they arrived and settled in Argentina. The Spanish in Argentina, however, has developed differently over the centuries and sounds different to the Spanish spoken in Spain. Typical Argentine food consists of lots of meat. Argentine Beef is known worldwide for its full flavour and tenderness. Lunch is actually the largest meal of the whole day. Argentine people love their 'Asado' where food is typically prepared on a grill or over open fire as part of a barbecue (BBQ). Asado: food prepared on a grill or over open fire as part of a barbecue (BBQ). On the Asado, there is usually beef, pork ribs and sausages or also lamb. Maté Tea: Made from 'yerba mate' which is a herb and is then sipped through a straw, called the 'bombilla'. Dulce de Leche: literally means sweet from milk and that is what it is, also called 'milk candy' in English. Delicious 'dulce de leche' cheesecake is made with this sweet creamy syrup. In Argentina 'dulce de leche' is made with milk, sugar and a little vanilla. Carbonada: a savory thick stew often served in a holed out pumpkin. 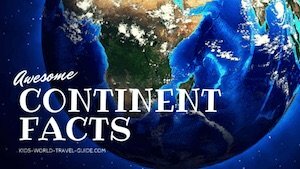 Image Credits on Argentina Facts page: Shutterstock.com and own images.